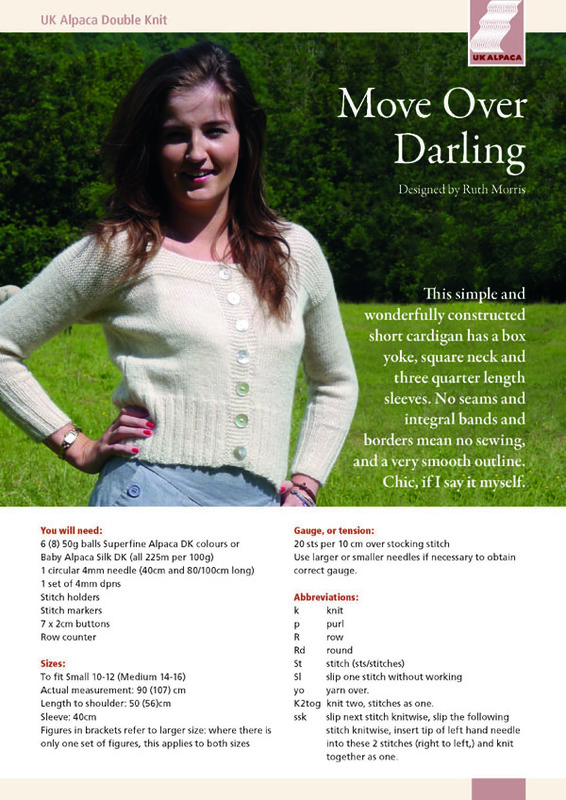 This simple and wonderfully constructed short cardigan has a box yoke, square neck and three quarter length sleeves. No seams and integral bands and borders mena no sewing and a very smooth outline. stitch holders, stitch markers and buttons to suit.